Anencephaly is a congenital abnormality. This abnormality develops very early in pregnancy when the embryo develops. The word 'anencephaly' means 'without a brain'. Although this literal translation is not entirely true, a baby with anencephaly is born usually without any real brain matter, the brainstem is often present. Most babies with anencephaly die during birth, the babies who survive the birth have a life expectancy of a few hours to at most a few days after the birth. Anencephaly occurs in about 1 in 10,000 births in Europe. Anencephaly is more common in girls than in boys. This congenital defect belongs to the neural tube defects. A neural tube defect (NTD) is a congenital defect that develops between the 20th and 28th day after conception. The cells of the neural plate (cells that later develop into the central nervous system) unfold to form the neural tube which later becomes the spine and the spinal cord. After several transformations the brain forms out of the upper part of this tube and when something does not go well and the upper part of the neural tube does not close properly, anencephaly occurs. Parts of the skull, the skin, the brain membrane and the brain can then not develop. Babies with anencephaly are often still born with a brainstem. The brain tissue that is present is only covered with a thin membrane. The baby can be blind and has little to no reflexes. The fetus secretes a protein in the amniotic fluid, the alpha-fetoprotein (AFP), through its urine. When the child has a neural tube defect, the open wounds secrete more of this protein to the amniotic fluid. Via the placenta this substance then enters into the mother's blood and can be measured in this way. A neural tube defect in one of the parents. Neural tube defects in the family. In case of a neural tube defect in a brother, sister or parent of one of the partners there is about 0.5 to 1% chance of this condition for the child. Medicines. Certain medications used during pregnancy are associated with an increased risk of neural tube failure. Diabetes. Women with diabetes have an increased risk of a child with a neural tube defect or other birth defects, especially if there is high blood sugar in the beginning of the pregnancy. The risk of a child with a neural tube defect does not increase at the age of 36 years or older. The causes of anencephaly are not yet known. It is assumed that this is a combination of environmental factors and genetic influences. Nutrition also plays an important role. It has been known for some time that folic acid has an important effect. Some medicines such as the contraceptive pill can negatively affect the folic acid level in our blood. These then increase the chance of a child with a neural tube defect. The risk also rises in women who suffer from diabetes. By amniocentesis, after which the content of alpha-fetoprotein (AFP) is determined in the amniotic fluid. Ultrasonographically, this is possible from the 12th week of pregnancy. In combination with an AFP determination of the mother's blood, this is a reliable method for diagnosis. There is no treatment for anencephaly. The condition can not be cured. Every woman who wants to become pregnant is advised to take 0.5 mg folic acid per day from the moment that she is trying to become pregnant. This reduces the chance of a neural tube defect from about 1 in 700 to 1 in 2,000. Women who have neural tube defects in the family or who have previously had a child with an abnormality are advised to take a higher dose of folic acid (5 mg per day) from four weeks before to eight weeks after conception. This reduces the recurrence risk (estimated at 2 percent) by 50 to 70 percent. 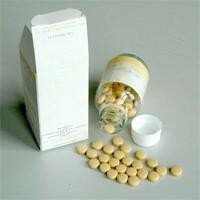 Folic acid tablets of this strength can only be obtained by prescription. If tablets with this dosage are used for a long time, your blood is regularly monitored for B12 levels.